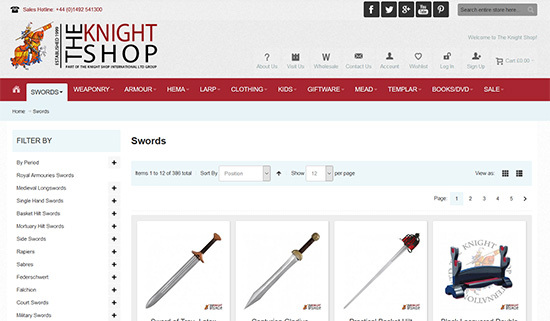 The Knight Shop International is a LOT more than just a sword store.. 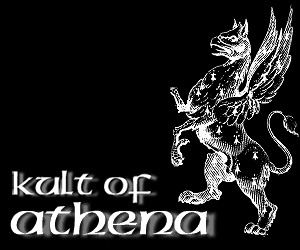 Founded in 1999, they have grown exponentially with three retail stores (the two smaller ones include one opposite the world famous Conwy Castle and another in the Royal Armory in Leeds) and their flagship store including a 12,000 sq ft showroom and distribution centre containing a massive variety of historical weapons and products and a large sales force to turn around orders as quickly as possible (usually within 24 hours), but the most important thing is - they are very active members of the sword community and REALLY know their products. Indeed, they heavily involved with HEMA and the main sponsors of many large HEMA competitions in Europe, actively work with Windlass Steelcrafts and Deepeeka to to develop new, historically accurate, swords for the HEMA community and are working with them to resurrect discontinued favourites - have developed their own line of realistic synthetic sparring swords and even a full time FIGHT SCHOOL on site! 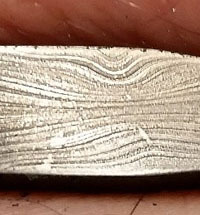 So not only do they offer great prices, customer service and true product knowledge - by supporting them you are actively enriching the sword community! HIGHLY recommended. 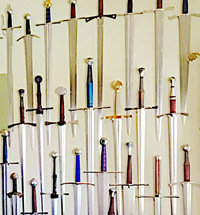 On the 6th of April 2008 collectors of Japanese swords in particular received a rather nasty surprise - the UK slapped a heavy handed ban on all curved bladed swords to combat a perceived growing trend of using cheap wallhanger 'Samurai swords' to commit violent offenses. 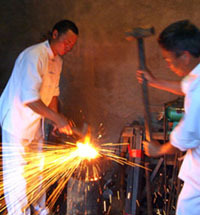 While these laws have been amended so as to minimize impact on legitimate collectors like yourself, and now include any sword made using traditional hand made techniques (before it was only swords made in Japan, before they realized the devastating impact this would have on many traditional sword schools who could not afford a real Nihonto). Ebay has a decent guide explaining the legislation here - so be sure to check it out. 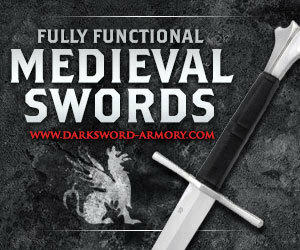 Comments: While their product line up features mostly wall-hangers and ornamental swords, Blades UK have a massive variety of swords available, including many by Hanwei and Cold Steel and several other lesser known and generic brands. 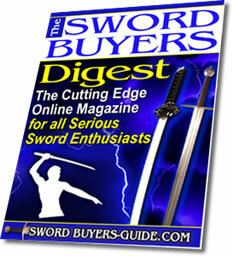 Well worth a look  and the BIG BOYS of the UK Sword scene. Based in Belgium, though servicing the whole of Europe (and indeed, having recently opened a branch in the USA) - the aptly named Samurai Sword Shop is one of the biggest, and definitely the most innovative, seller of Katana in the whole of the EU. 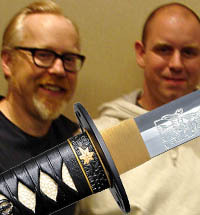 With excellent customer service, and a genuine passion and commitment for the swords they sell, they have recently created some of their own unique swords to level the playing field for European Japanese sword enthusiasts from entry level to sword connoisseur. 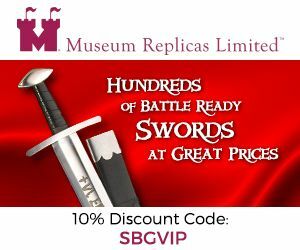 Comments: Primarily selling Hanwei swords, this UK merchants prices are actually pretty good when compared to most other sword sellers in Europe. 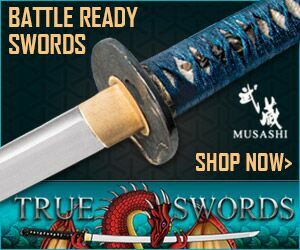 A decent range of Japanese swords at good prices, well worth a look if you are in the market for a Chen Katana or Chinese gongfu sword. Comments: Another German seller, these guys also stock Gen2, as well as Hanwei & WKC Soligen  have good prices and the site is bilingual (click the little English flag in the top left corner if you are not a native speaker of German). 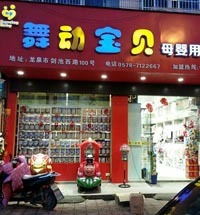 Lots of other fun stuff there, as well as supplies like sageo, tatami mats and (as the name suggests) more...! 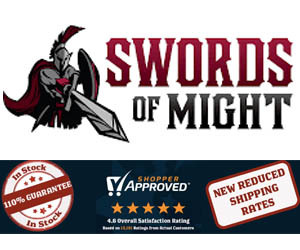 Comments: Based in the Netherlands, these guys are not the cheapest sword sellers in Europe but their range of swords is quite extensive, including products from Cheness Cutlery, Oni Forge, Thaisuki, Last Legend, Dynasty Forge and more! If none of the above sellers has anything that grabs your fancy, or you wish to take advantage of the massive US market - you may wish to consider using the services of a mail forwarding company as explained on our site here.